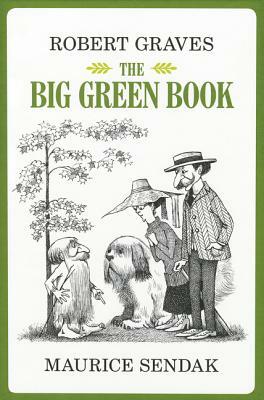 FANS OF MAURICE SENDAK’S CALDECOTT MEDAL-WINNING WHERE THE WILD THINGS ARE WILL LOVE THE BIG GREEN BOOK—NOW BACK IN PRINT! A little boy named Jack discovers a big green book of magic in the attic and learns all sorts of spells—spells to change the look of things, spells to make him old and gray or disappear entirely! Jack makes the most of his new magic powers, and his poor old aunt and uncle are quite bewildered. This enchanting tale by noted British author Robert Graves is masterfully illustrated by Maurice Sendak, seven-time Caldecott Honor recipient, National Book Award winner, and the Caldecott Medal-winning creator of Where the Wild Things Are. Robert Graves is best known for his novel I, Claudius, which was turned into a Masterpiece Theater blockbuster megahit in 1976. He was born in 1895 in London, England, and went from school to the First World War, where he became a captain in the Royal Welch Fusiliers and was seriously wounded at the Battle of the Somme. He published his autobiography, Goodbye to All That, in 1929, and it was soon established as a modern classic, followed by I, Claudius in 1934. He died in 1985 in Majorca, his home since 1929.